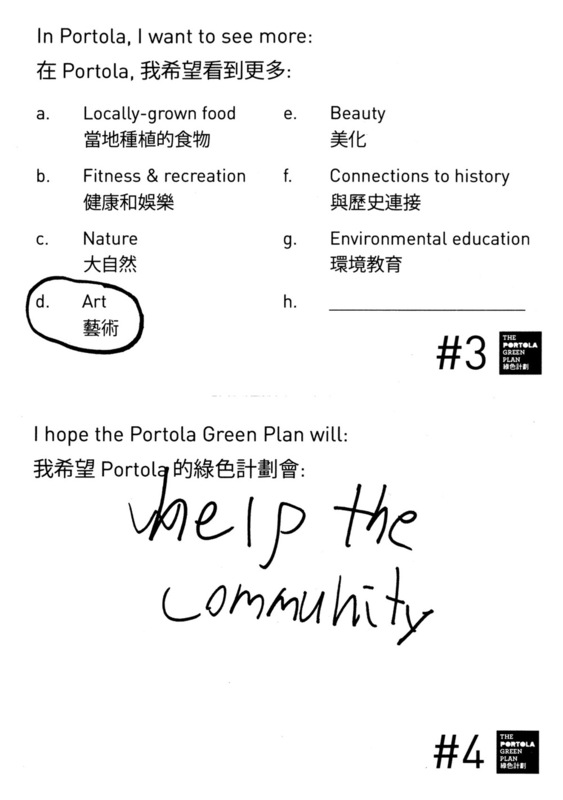 Welcome to our archive of community outreach. 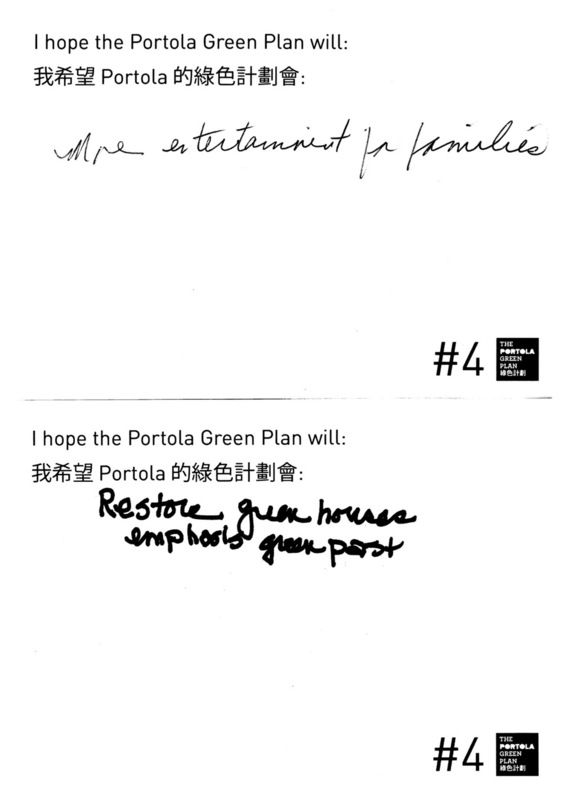 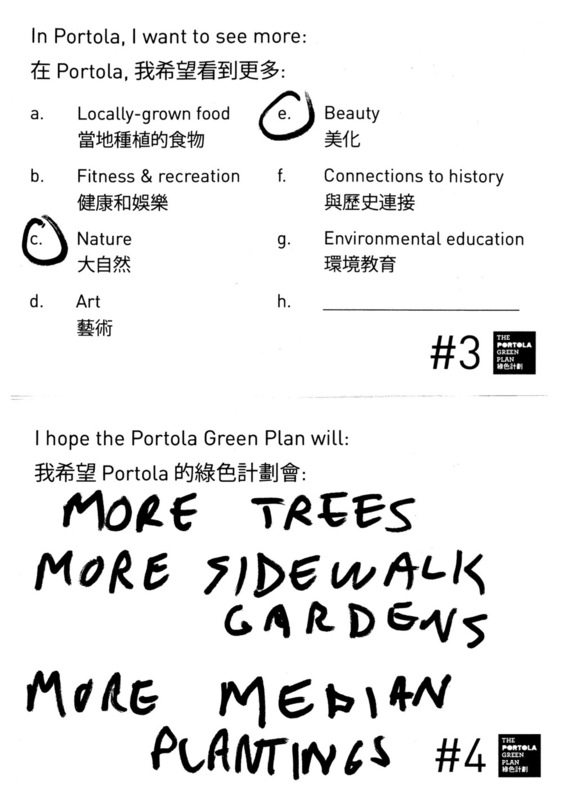 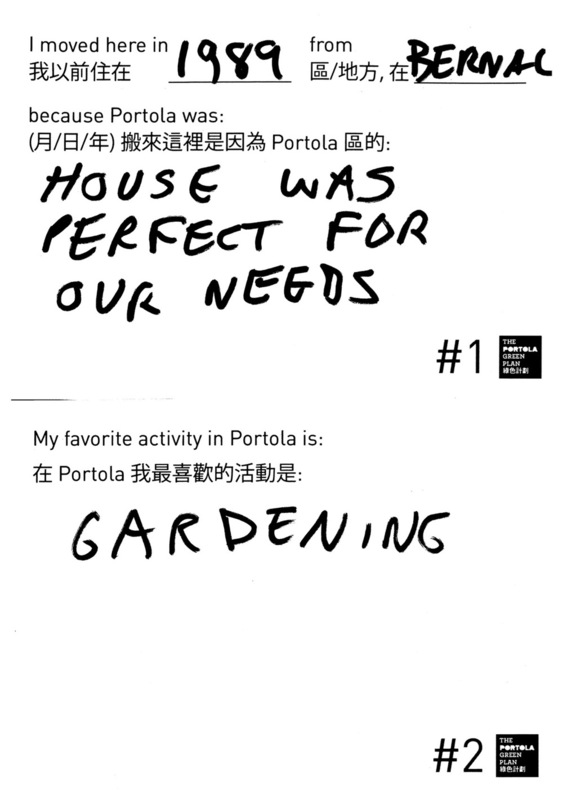 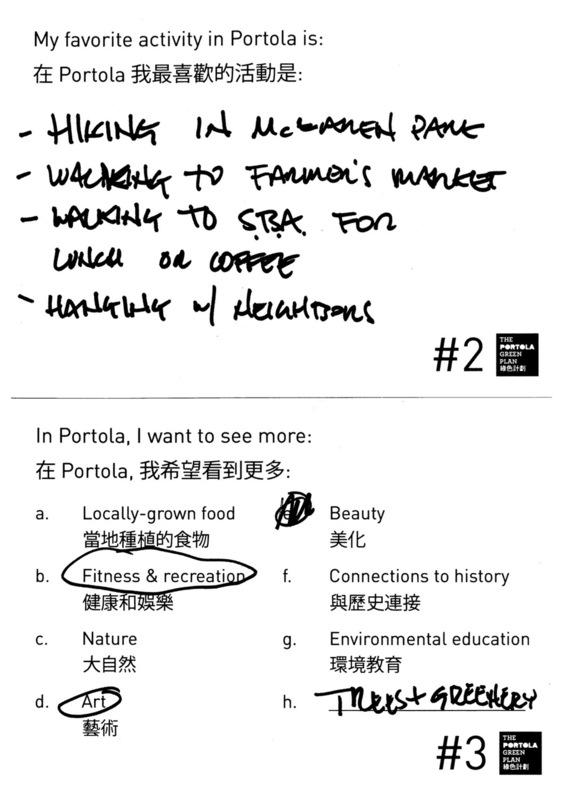 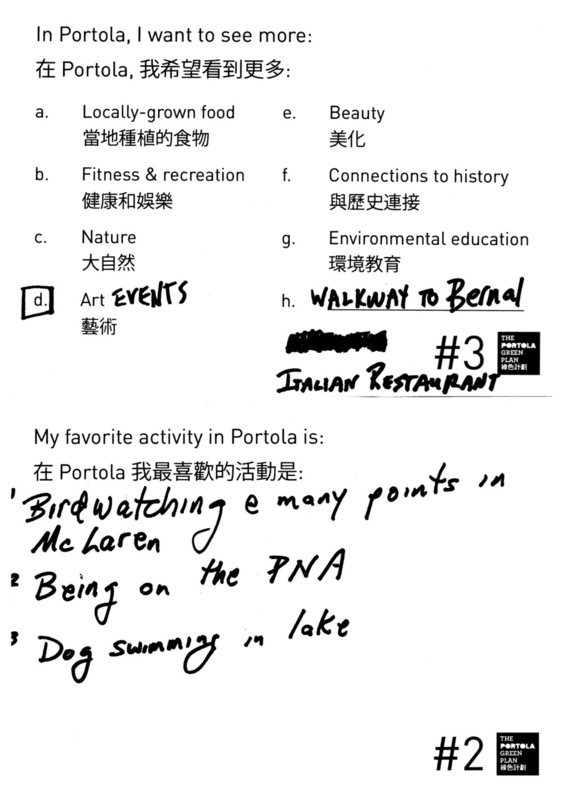 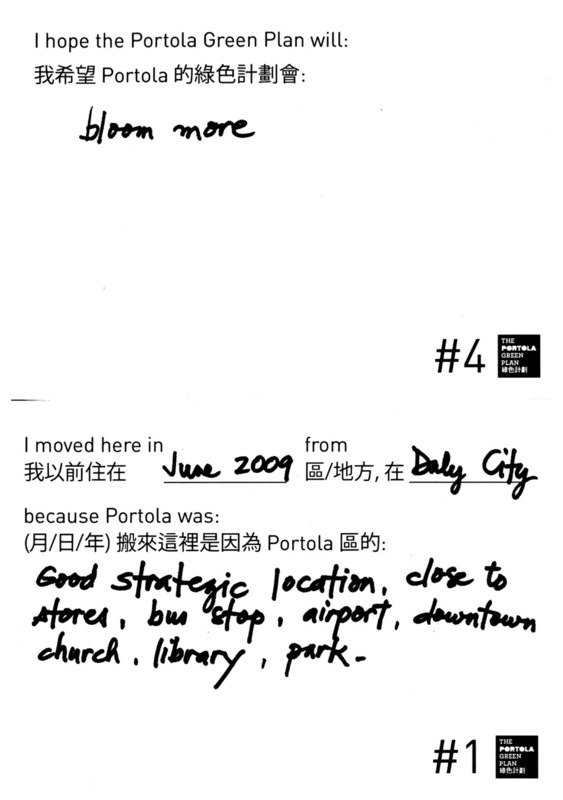 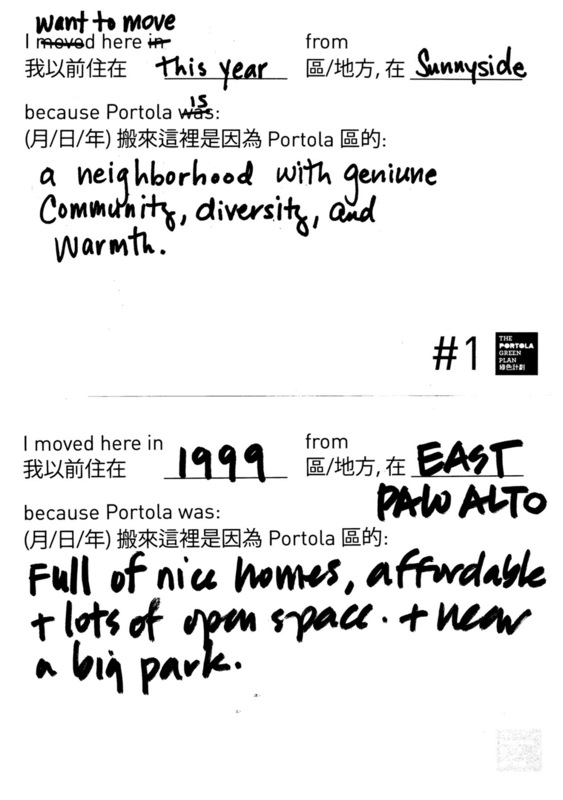 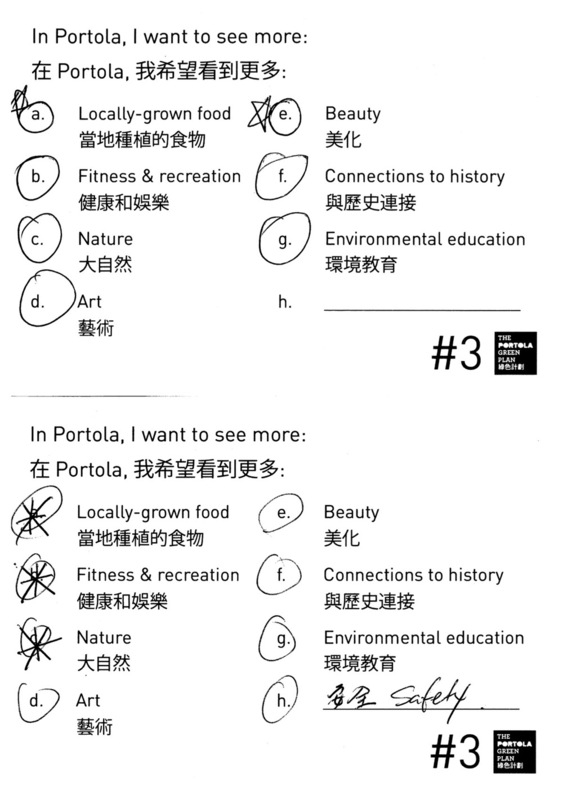 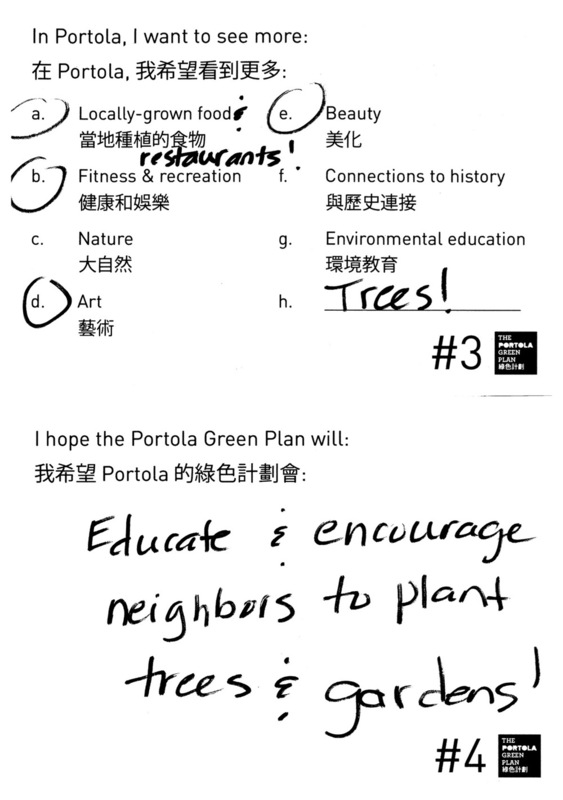 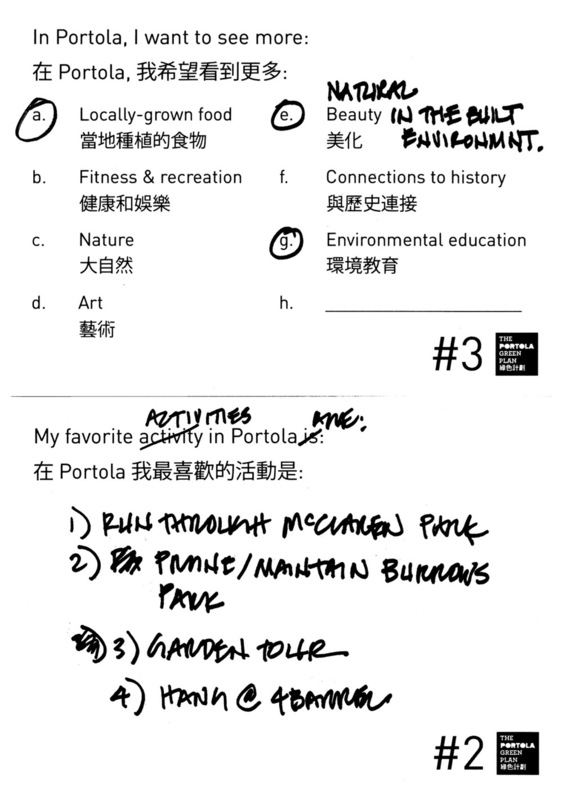 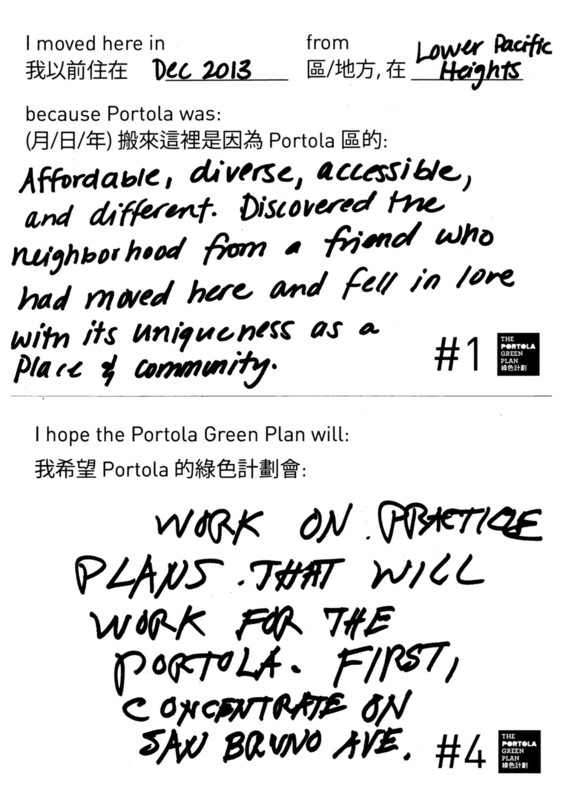 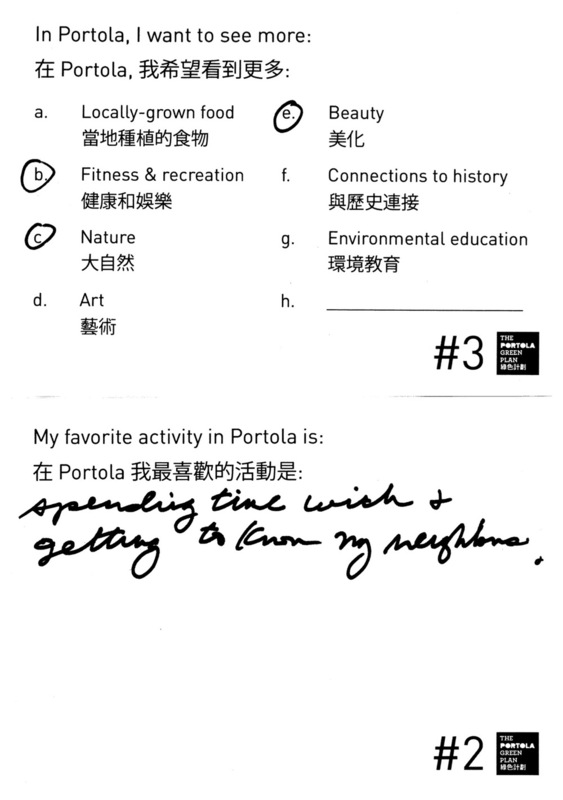 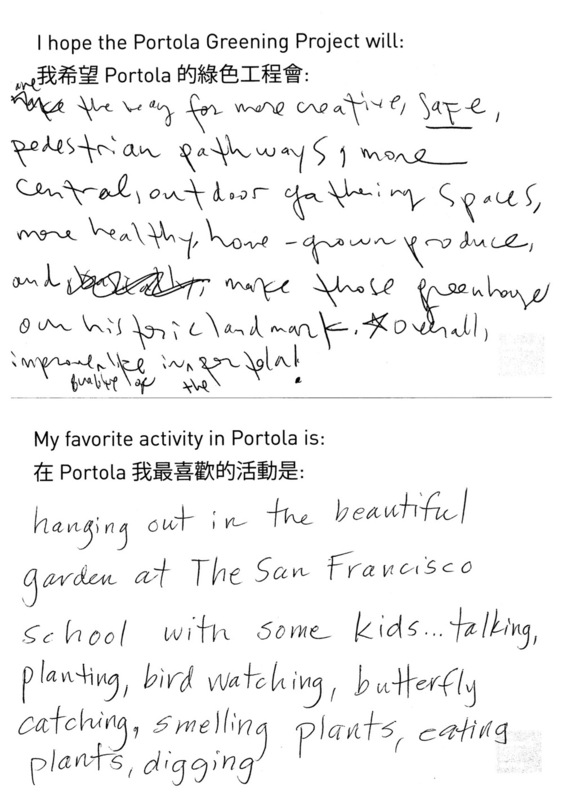 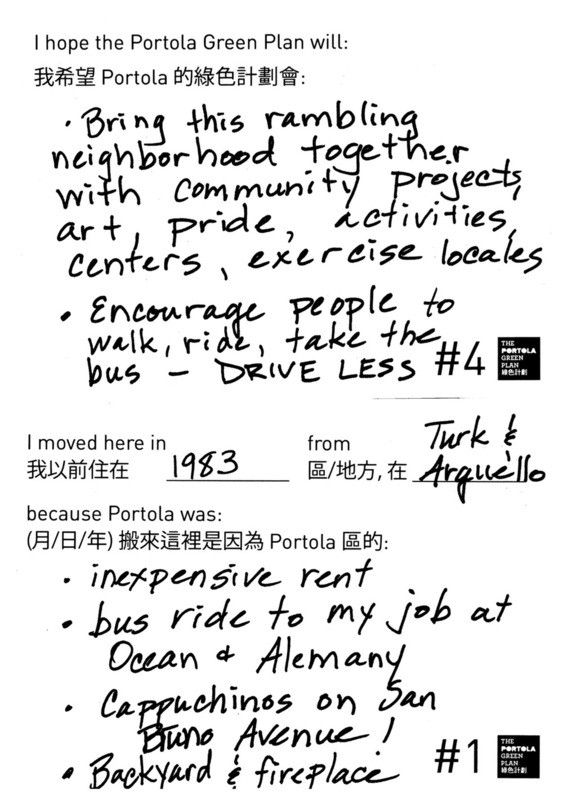 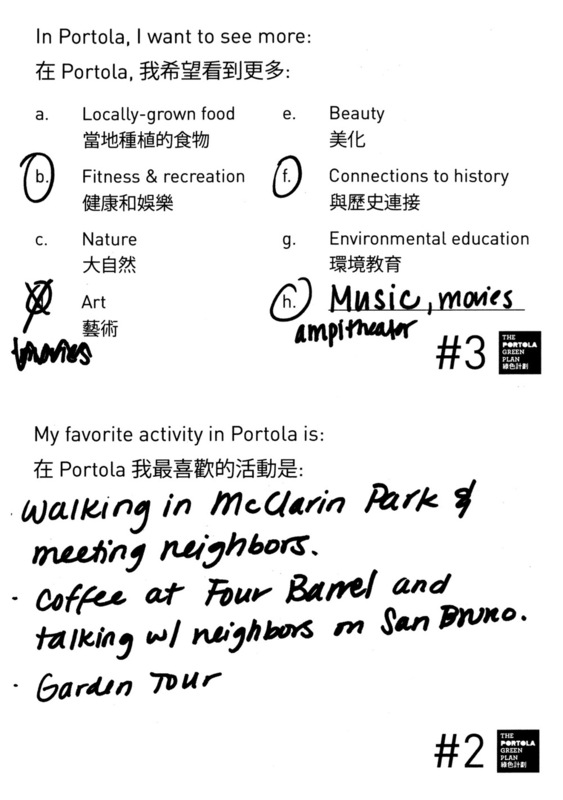 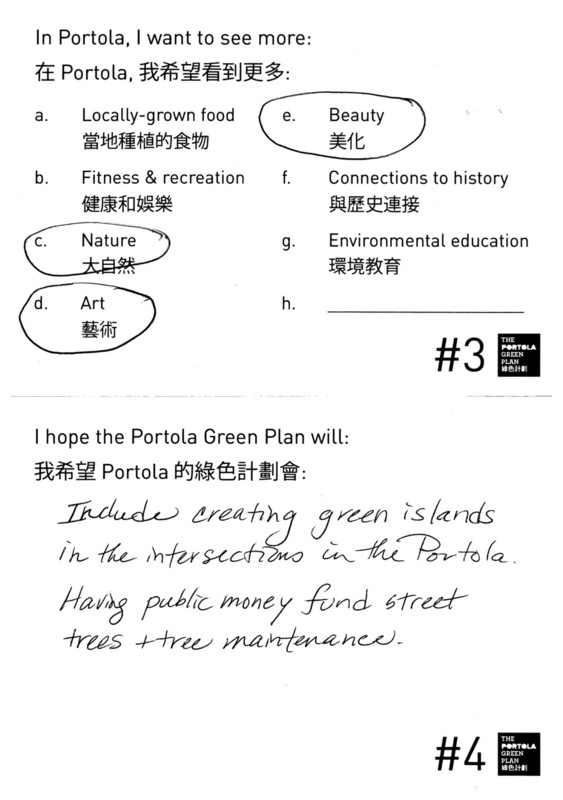 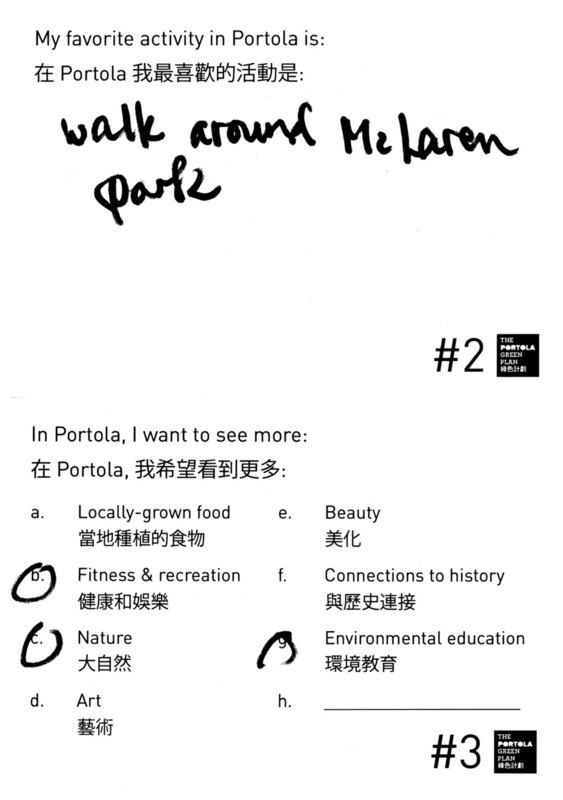 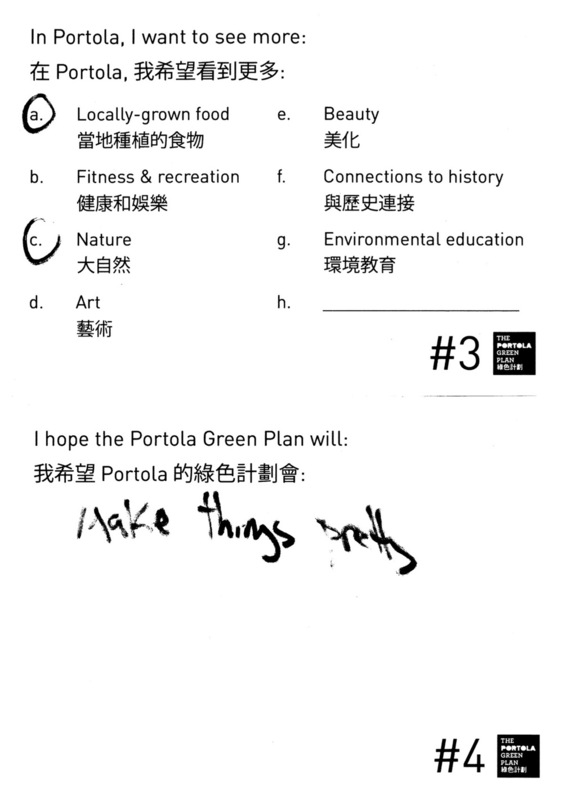 In 2015, the Portola Urban Greening Steering Committee partnered with SiteLab to engage with Portola District residents about their neighborhood, what they love to do here, and what they might want from the Portola Green Plan. 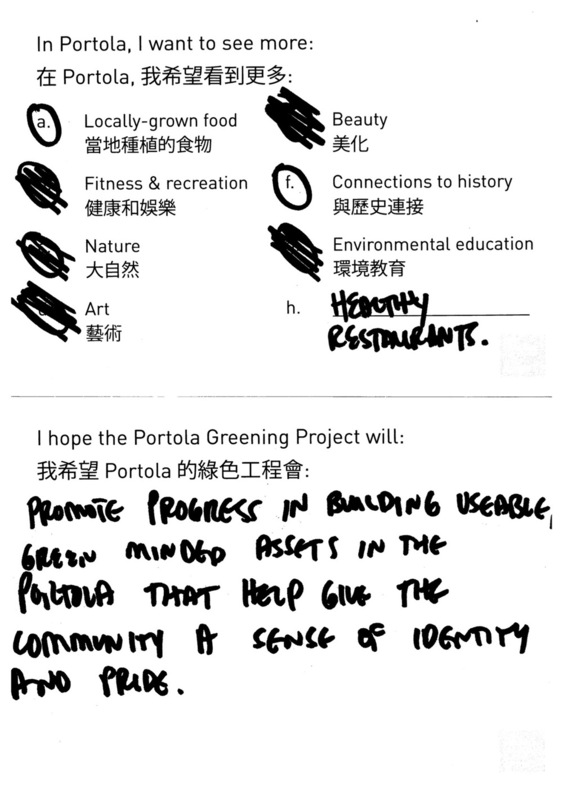 We used the results to shape the Portola Urban Greening Report, downloadable here. 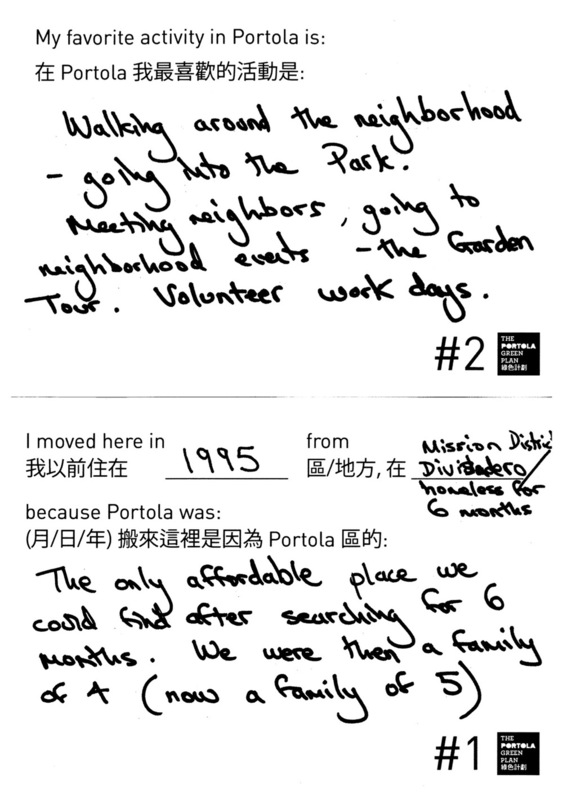 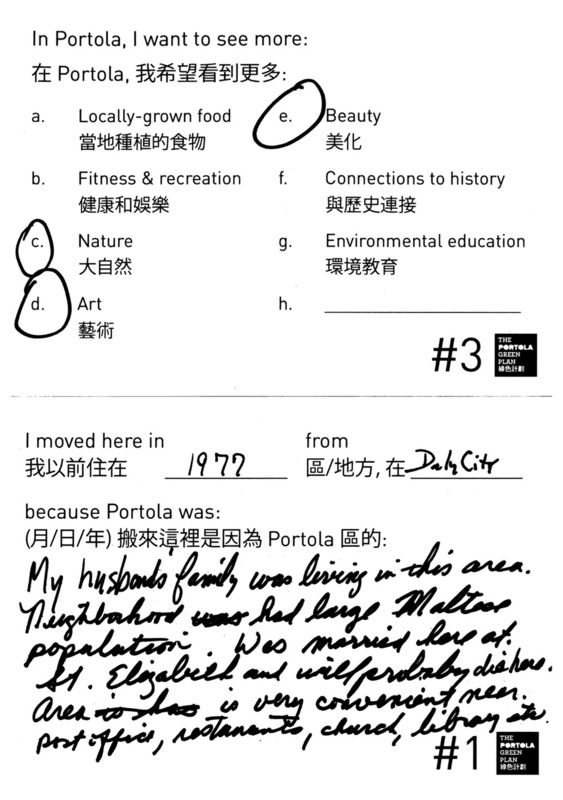 The filled-out postcards from the engagement process are available below. 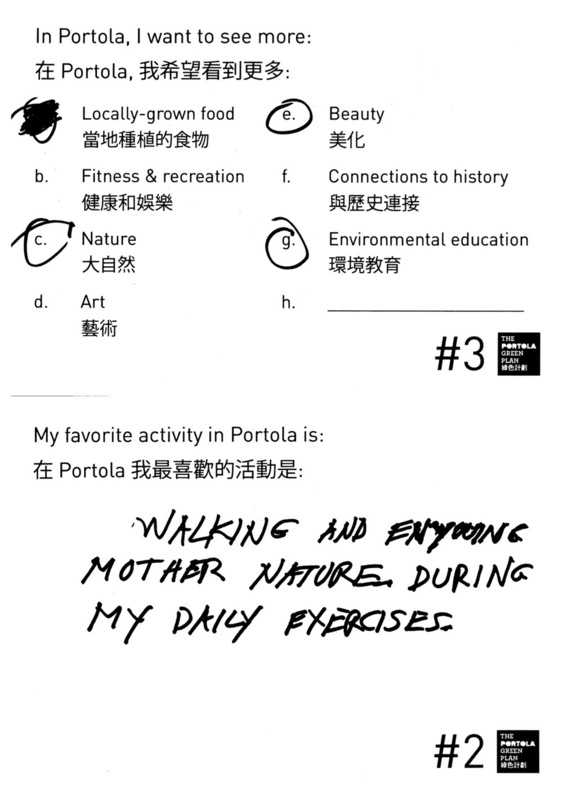 See if you can find yours!